Birkmire offers a wide range of “At Your Location” storage solutions for business and residential applications, ensuring your goods are stored securely, and meeting any additional spacial needs you may have. Our containers, trailers, and office solutions help you stay organized and create more space where you need it most. Options include mobile trailers, field offices, storage containers and office storage. Easily and efficiently store supplies, equipment, seasonal items, and more. Contact us today to find out what storage solution is best for you. 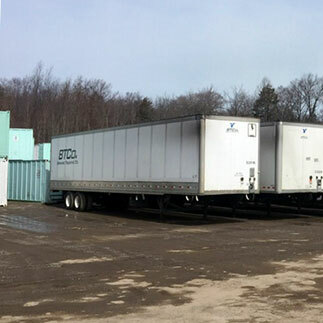 Storage Trailers: We offer storage trailers from 28′ up to 53′. These units are not at ground level and are best for locations with loading docks. Explore our Commercial or Residential solutions. Field Offices/Office Storage Units: We offer a wide range of office storage units with hundreds of unique applications. 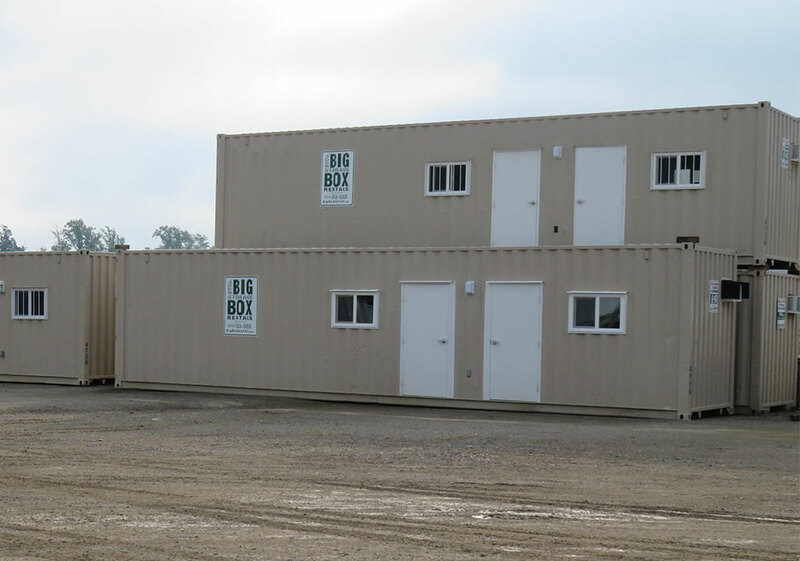 Our multi-functional, customizable line of field offices make it easy for you to bring the conveniences of an office to your job site. Secure and weatherproof, field offices are fully equipped and available in sizes ranging from 128 sq. ft. to 720 sq. ft.
Standard office storage units have ample space for an office area and available in a variety of sizes ranging from 20’ to 45’. Also available in ground level or on wheels. Explore our Field Office and Creative Storage. Ground Level Storage Containers: Create more space and store used items in one of our portable, ground-level storage containers. Ideal for storing equipment, inventory, and supplies, Birkmire’s storage containers are convenient, rugged and weatherproof. 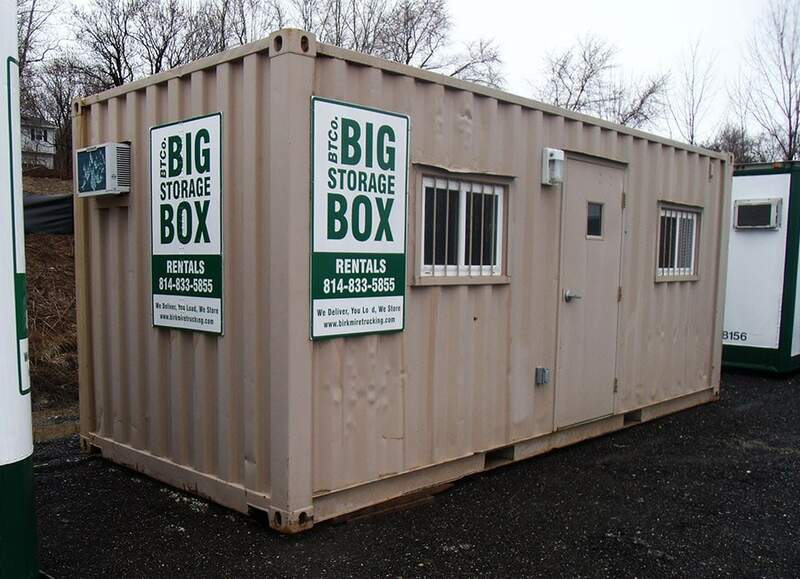 Our storage containers are available in three sizes: 20’, 28’, and 40’. Explore our Commercial or Residential solutions. Refrigerated Storage Units: Birkmire’s refrigerator storage units are affordable, reliable and delivered right to your door. Our storage units are available for outdoor parties, extra general storage for larger families, or in case of emergencies. Birkmire requires all 12’ units to be equipped with 120 VAC electric and provide units with optional generators. 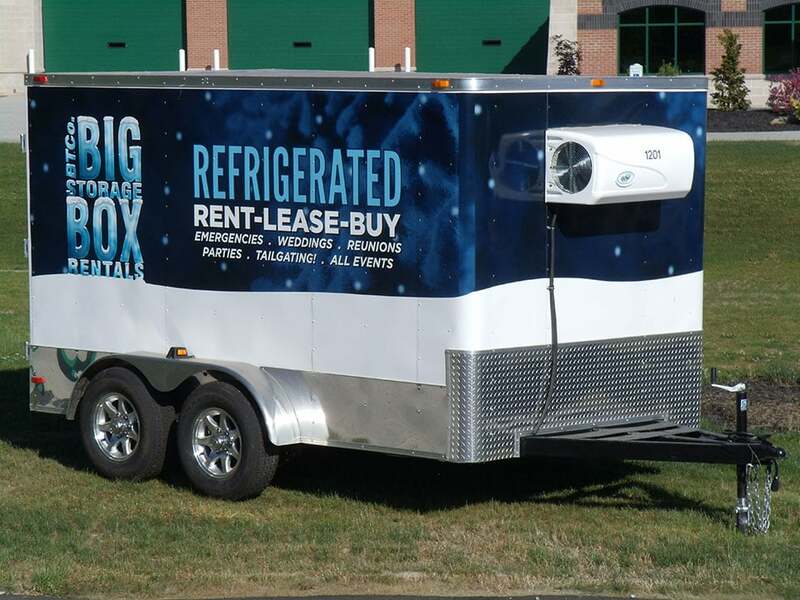 Our 20’ units are operable with diesel or electric, optional shelvings, and cool to zero degrees. Explore our Refrigerated solutions. Create more space and store used items in one of our portable, ground-level storage containers. Ideal for storing items during construction, outdoor seasonal items, supplies, and more. Birkmire’s storage containers are convenient, rugged and weatherproof, and are available in three sizes: 20’, 28’, and 40’. We also offer storage trailers from 28′ up to 53′, which are not at ground level.